We are very happy to announce that Tiger Muay Thai and MMA Training Camp will be conducting a top of the line renovation of the camp and the facilities. 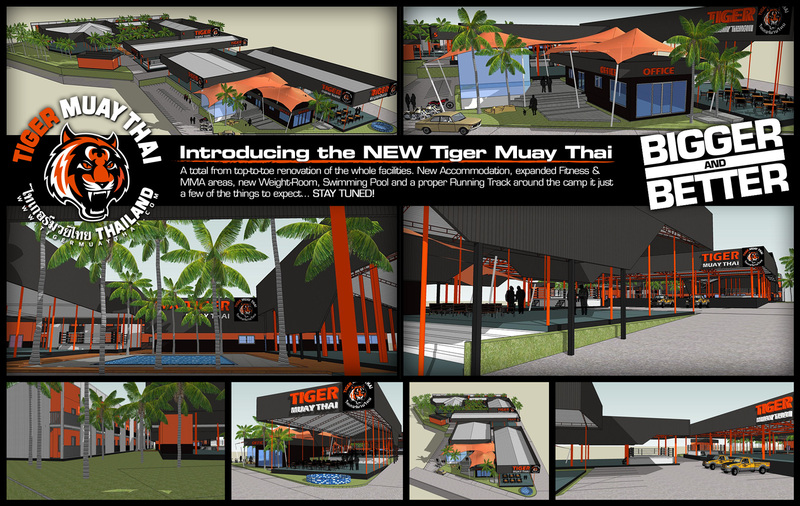 Not only will Tiger Muay Thai be expanding, but the new facilities will be state of the art. Thus making it the best version of Tiger Muay Thai to date. Expanding the MMA room, fitness areas, new accommodation, swimming pool and a new weight room are just a few of the changes to come. There are many big changes to come, but don’t worry it won’t affect any of our regular training schedules. Stay tuned for updates and more information as the renovations starts!